Why Buy From Major World CDJR? Find out how the Jeep Compass performs by scheduling a test drive at Major CDJR in Long Island City today! Crystal Metallic 2019 Jeep Compass Altitude 4WD 9-Speed Automatic 2.4L I4 Multi Point inspection *, Fully Serviced & White Glove Detailed *, ABS brakes, Compass, Electronic Stability Control, Front dual zone A/C, Heated door mirrors, Illuminated entry, Low tire pressure warning, Remote keyless entry, Traction control. White Clearcoat 2019 Jeep Compass Altitude 4WD 9-Speed Automatic 2.4L I4 Multi Point inspection *, Fully Serviced & White Glove Detailed *, ABS brakes, Compass, Electronic Stability Control, Front dual zone A/C, Heated door mirrors, Illuminated entry, Low tire pressure warning, Remote keyless entry, Traction control. The Motor Trend review of the new Jeep Cherokee noted its “impressive off-road capability” and “good value.” If those are qualities you value in your next crossover SUV near Sunnyside, then come get your hands on a 2018 Jeep Compass for sale at Major CJDR. See how the Jeep Compass compares to competitors like the Ford Escape. We’re open seven days a week in Long Island City, and we have coupons and special offers for you going on now! 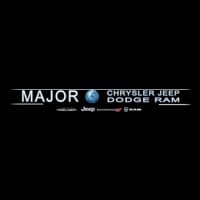 Major World Chrysler Dodge Jeep Ram	40.7525116, -73.9117477.